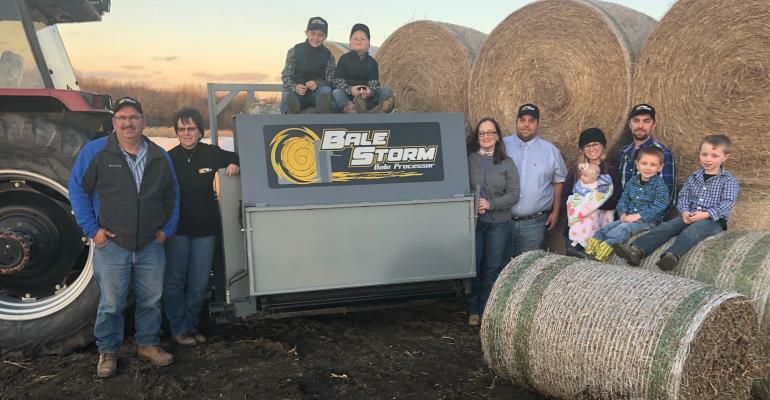 Farming and raising cattle in northeast Iowa, Bruce Goddard has had many years of experience handling and using round bales of hay and cornstalks. Processing round bales is how most cattle feeders get the forage ready to put into feed bunks or to spread chopped stalks for bedding. After processing, the next step is hauling and unloading the material into the bunk for feed or spreading it for bedding in the cattle shed.